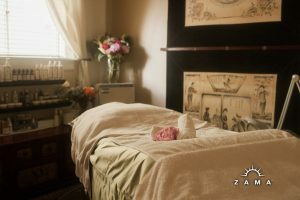 Our Organic Custom Facial is the most popular facial service at Zama. Custom facials are created based on your individual skin care goal. A custom facial typically addresses topics such as acne, dry skin, dull skin, rosacea, sun damage, age spots, or wrinkles. Each Custom Facial is different, as no two people have the same skin. Your entire facial is custom created from the results your skin analysis. After you have settled comfortably into the treatment room at Zama, one of our estheticians will perform a thorough skin analysis. After discussing your needs, we will tailor t he Organic Custom Facial to meet your specific needs. This means that every product used and applied in the facial will be carefully selected with your skin in mind. 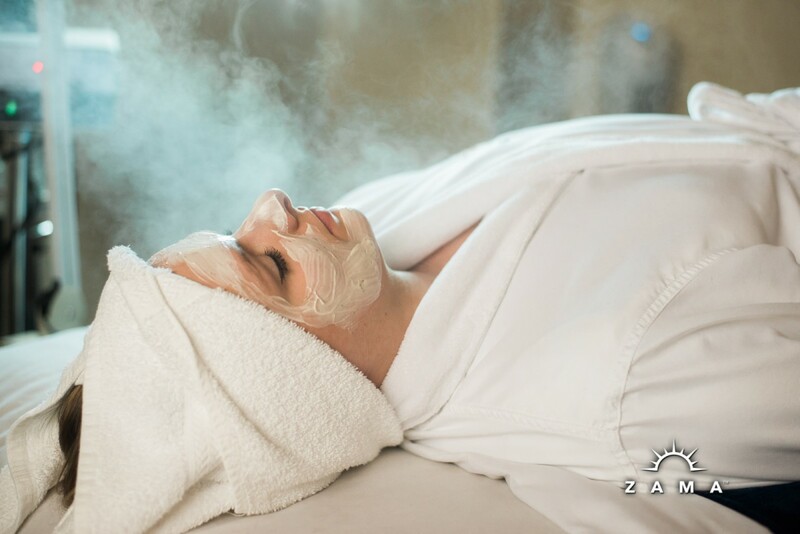 Custom facials at Zama include cleansing, exfoliation, masks, extractions (if needed or wanted), hot towels, massage, aromatherapy, pressure points, and hydration. Each of these steps is customized based on your the unique skin care goals and concerns. The Organic Custom Facial also includes a steam treatment. As the warm steam softens your pores and prepares your face to receive the rich treatment and ingredients from Eminence, the steam stimulates blood circulation to the face allowing the skin to look refreshed. The warm steam also allows for deep cleansing resulting in softened, hydrated, and rejuvenated skin. 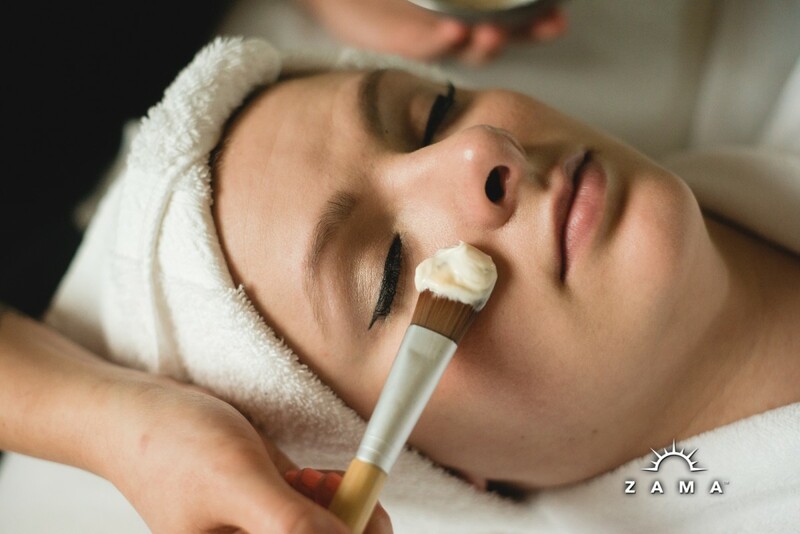 As with every treatment at Zama, we take a holistic approach to our custom facials. That means we are not just focusing on your skin; rather, we are treating the whole body and the whole person. At Zama, our estheticians receive additional training in massage. Our custom facials also incorporate extensive massage of the neck, shoulders, face, scalp, hands, and arms. Our 90 minute custom facial also includes leg and foot massage. If you are feeling worn down, tired, or stressed, consider booking an Organic Custom Facial. Everyone benefits from regular custom facials. At a minimum, we recommend a custom facial four times per year, to correspond with the changing seasons. Skin is the largest organ of the body. If you want your skin to stay healthy (and look great) you want to take care of it. Let us pamper and nourish you! At Zama Massage, we offer a fine selection of beautifying and skin correcting facials. Portland residents, no matter their age or skin type, are sure to find a facial that works for them. Read through our various packages to find the ideal facial suited to your needs. Come experience the facials Portland residents rave about. Call Zama Massage to book your perfect facial package today.